When we talk about crystal healing history we should be aware that our conception of history, especially human history is rather limited. In very, very ancient times, the top of the spiritually conscious individuals has discovered the radiating and healing flames of the gemstones. In time, they started to distinguish the benefits of the seven rays, their link to the chakras and individual crystals, as well as to the miraculous world of enlightenment. Today, in the Aquarian age, the enlightenment is no longer rare, neither is it limited to a privileged class of people. More and more human beings is successfully climbing the ladders of spiritual evolution, conscious of themselves, their path, truth and life. Today, very much the same as before, flames originating from the gemstones, semi precious stones and minerals are glowing like the Sun and spreading their hidden secrets for the benefits of the mankind. 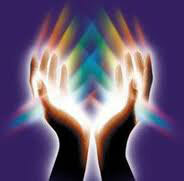 Specific knowledge about crystal healing originates from the times of the legendary continent Atlantis. Atlantis is today considered by many people only a myth, but indeed in the exoteric and esoteric documents of the races that followed this legendary civilization there can be found indications and valuable information of its glorious achievements and not so glorious end. On this ancient continent, the use of crystals is believed to be widespread, but.when talking about it, we should bare in mind that in hardly any respect were those people resembling humans of today. Their appearance, even their physiology and metabolism, if you like, were different from ours. Not only were those people on Atlantis able to use (and often misuse) crystalline energies, they were supposedly able to use the vital, etheric energy of the plants as directly as we are able today to make use of the heat produced by burning woods. The technology of those people was also considered to be developed, although quite different from our usual sense of what we consider advanced technology. The advances in crystal growth and manipulation enabled the Atlantieans to synthesize crystals of gigantuous proportions for various uses and purposes. They were able to employ such stones to set in motion powerful energies which in turn enabled their society to flourish. Unfortunately, as it has been somehow preserved in our collective consciousness in a vague way, Atlantis failed in a catastrophic event mostly due to the misuse of crystal’s energies and some other types of energies. The science of using crystals in everyday life was known also to the Egyptian civilization. Some speculate that the pyramids could not have been erected without the use of crystal energies. The people of Egypt used lapis in jewelry production. They used lead sulfide (galena) and malachite to produce makeup. Apart from it, some sources mention emerald, carnelian and quartz as materials for carved artefacts. Egyptians knew how to use crystals to make healing portions. They used them also for magical and protective purposes, to prevent insomnia and nightmares. The ancient peoples of Europe, the Druids, have contributed to spreading the theoretical and practical knowledge of crystal and mineral science, whereas on the American continent, naturally, as distant descendants of the Atlantieans, the Mayas and Incas, were also using stones in their monumental construction efforts. In ancient Greece, crystals have been used in everyday life extensively and therefore it is no surprise that some of the mineral names we use today are of Greek origin. The word crystal is also originating from the the Greek word krustallos with the meaning of ice. The more famous example is the origin of the word amethyst obtained also from the Greek description for preventing drunkenness. Indeed, during the time of old Greek, there was a widespread belief that drinking wine from an amethyst cup would guard against drunkenness. During that time hematite was associated with invincibility. Although it might seem a little bit superstitious to us, these beliefs were firmly grounded in ancient Greek’s philosophy and mythology. For example, hematite as iron compound was rightly associated to the planet Mars, whereas malachite as copper ore to the planet Venus. Today we know that, for instance, Mars is the planet with highest iron content in the Solar system, so we need certainly more than superstition to correctly understand these lores and myths of the ancient peoples. In the tradition of the Native American peoples, some stones such as azurite and phenakite were considered sacred. They have been used in order to relate to the guide spirits and in their healing ceremonies. As amulets, stones, fossils, mineraloids and gems have been used probably from the beginnings of time. When we talk about talismans, probably the most widely used substance in this regard was amber. Amber in form of beads have been discovered comparatively early in Europe, dating some 12 thousand years ago. Some of the minerals that are being mentioned in references of earliest times are amber and jet (strictly speaking not stones) as well as malachite, jade, lapis and turquoise. When talking about jade, first thing that comes in our minds is China where it has been known since before 3000 b.c. Indeed, jade was highly valued in China for its healing and vibrational qualities, but surprisingly also in producing some types of musical instruments and even armor. It has been considered a stone of concentrated love essence. This explains the symbolic link between jade and the most revered Chinese goddess Quan Yin, the goddess of mercy. In Hinduism, the Kalpa tree in the Indian mythology is made out of crystals and precious stones. It possesses 9 gems that hang from its branches as fruits. In the Bible we can read of 12 most important biblical stones. The breastplate of the high priests of Israel contained 12 stones, each for one of the 12 Tribes of Israel. There are 4 rows of precious stones. 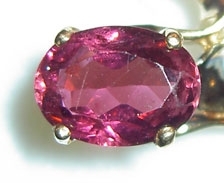 In the first raw are ruby, topaz and aquamarine. In the second we find turquoise, sapphire and emerald. In the third there are zircon, agate and amethyst, while the fourth is comprised of lapis lazuli, onyx and jasper. In Europe, crystals has been considered helpful for a long period of time but their use was often associated with misconceptions and wrong beliefs. This goes on until the 17th century when during the period of Enlightenment characterized by emphasizing the importance of logic and reason, the use of semi precious and precious stones has been proclaimed not to possess the usually ascribed benefits. The use of crystals and gemstones in healing is very well known and documented in shamanism and various tribal systems. 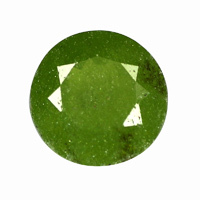 It is know that for instance, the Aborigines and Maoris of Australia have strong beliefs connected to using gemstones in healing and spiritual practice. Today with the arrival of the new age community, crystal healing is ever more popular.One of the books that practically opened the renewed interest in crystals and stones is the famous book by Melody, “Love is in the Earth”.